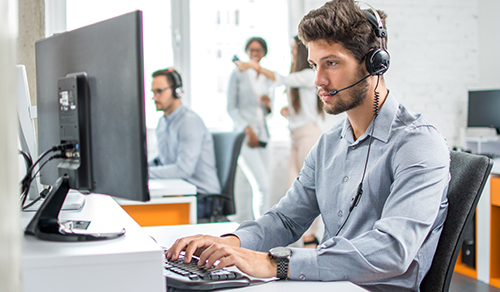 Service desk technicians help end users with any IT problems they might have. It’s important to have these people on hand to help because all kinds of things can go wrong in an IT setting that require expert and direct assistance. From operating system malfunctions to general PC troubleshooting, having a good service desk technician is essential. When you make use of the FieldEngineer.com platform, you’re able to find freelance service desk technicians when and where you need them. You can find workers all over the world, so you’ll be sure to find one in the location that’s right for you. You can also find them at short notice, which is ideal for businesses. The platform is very intuitive and easy to use. You’ll be able to find exactly the kind of technician you’re looking for. They’re certified, experienced and proven in their field. You can check their skills and track their work to ensure you're hiring the right kind of person for the task. The whole process is very simple indeed. You should make use of FieldEngineer.com if you want to find experiences freelance service desk technicians who know what they’re doing. The worldwide availability and ease of access offered by the platform mean your business can find exactly the right professional for your job at a moment’s notice without any problems at all.